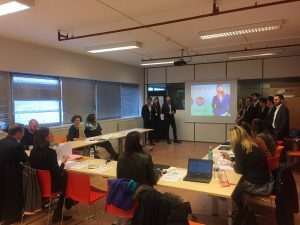 Since the beginning of the academic year, all 3rd year students in the Grande École program (Lille and Paris) have been taking part in Corporate Social Responsibility (CSR) projects. Divided into groups of approximately 10 students, they work on CSR issues that have been identified by partner companies in Lille (Camaïeu) and Paris (Uniqlo). For stude nts in Lille working with Camaïeu, the CSR-related themes included recycling and the circular economy, external communication of CSR activities developed at the local and national level, and initiatives to develop well-being at work and the identification of workers with their organization. 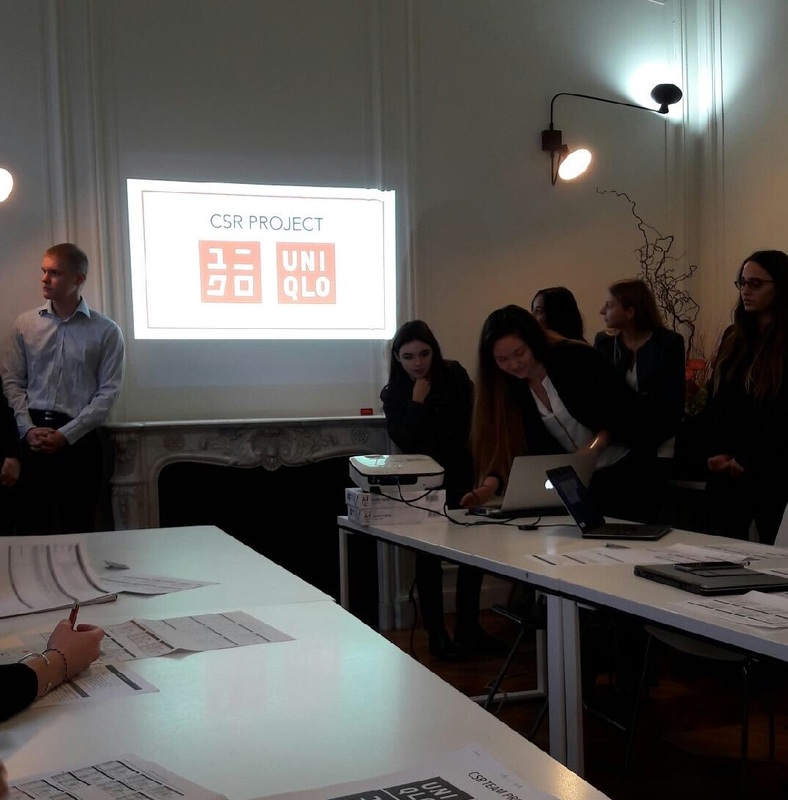 In Paris, students worked on 3 different CSR topics related to the launch of new Uniqlo stores; consumer perceptions, and CSR as a driver of loyalty, and for retaining talent (in the HR strategy). With the support of coaches and professors at the School, students study the topic before presenting their recommendations and an action plan to the company. Each group also has to prepare a report an d has 7 minutes to present its recommendations. Pascal Bied, Director of Bachelor Programs at IÉSEG, explains “IÉSEG’s mission is to train and educate managers to be inspiring, intercultural and ethical pioneers of change and to promote creative solutions for and with responsible organizations. Therefore, we decided to integrate the notions of ethics and CSR across the entire Grande École program. In the first year, students begin with a the ‘Responsibility Day’ before taking a compulsory business ethics course in the second year; the CSR consulting project follows in the 3rd year; before students go deeper into the topic of CSR and sustainability from a strategic perspective in a core course at master level”.